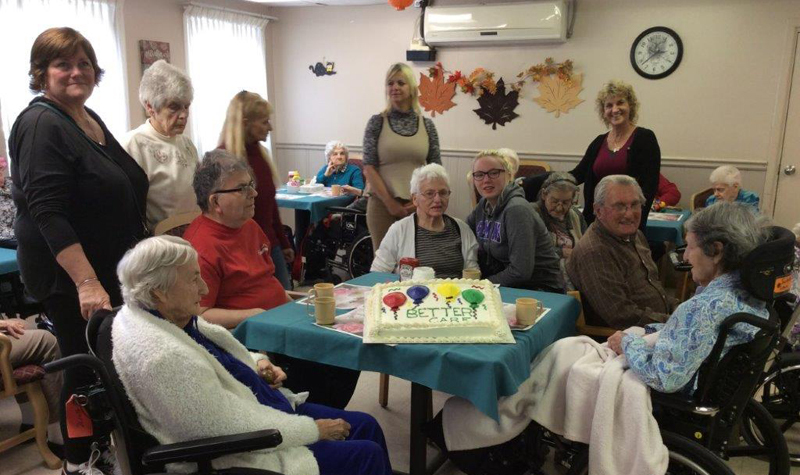 Kentwood Park residents and staff are pictured here at the Picton long-term care home’s launch of the annual Better Seniors’ Care letter-writing campaign. Better Seniors’ Care is an annual campaign created by the OLTCA to advocate for improvements in the long-term care sector. Ontarians are being asked by the OLTCA to send letters of support for this year’s campaign to their local MPP ahead of the release of the 2019-20 provincial budget in the spring. – Ensuring safety and quality of care that meets the needs of residents by rebuilding today’s homes and increasing capacity for tomorrow. – Focus on care, not on unnecessary government paperwork. Aside from information about the campaign being shared, the Kentwood Park team also served cake, tea and coffee, and there was musical entertainment from Al Murack. Kentwood Park life enrichment co-ordinator Lisa Mills says team members are going to be working with residents and families to engage them in the importance of the campaign and educating them about why it is important. “We are going to be promoting more family involvement (in this year’s campaign), and we want to help the residents out as much as we can with everything they need,” she says.